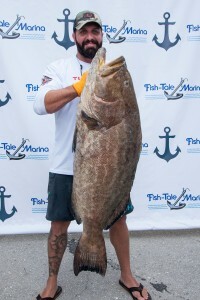 Once again, Freedom Alliance had the extraordinary privilege of being benefitted by the Grouper Grapple tournament in Fort Meyers Beach, Florida, this August. 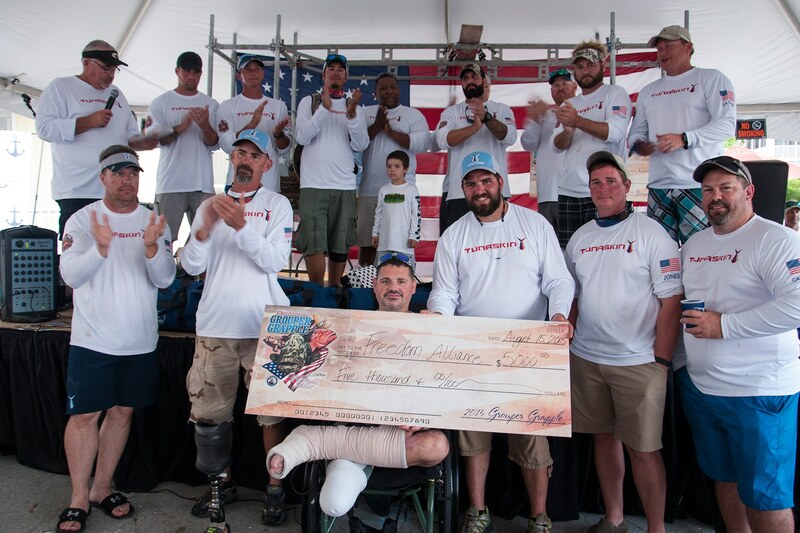 More than 30 boats registered for the competition; the payouts for placing amounted to over $30,000, and, incredibly, Freedom Alliance was the beneficiary. This amazing weekend began on Thursday evening with dinner at the Wyndham Garden Hotel, where the Freedom Alliance guests were lodged. 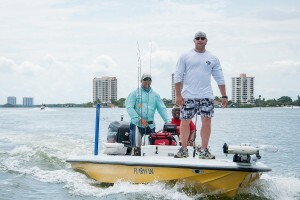 The next day, a small fleet of charters, with their excellent boat captains, came to treat the servicemen to a morning of fishing in Estero Bay. Then we attended a reception hosted by our great friends, Tunaskin Aquatic Apparel. These folks have been so nobly giving to Freedom Alliance since our relationship was established three years ago. 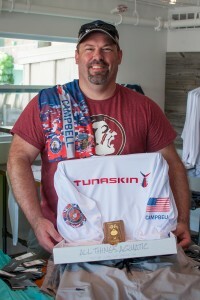 The vice president of Tunaskin, Bill Bronsord, gave each of our crew a gift box, containing a customized Grouper Grapple fishing shirt; a head buff, which was printed with the veteran’s name and branch of service; lip balm and sunscreen; and a $50 store gift card. It was soon time to attend the captains’ meeting at the Fish House to register and go over the contest rules. Our service members met their boat captains and crew and coordinated their departure sites and times. 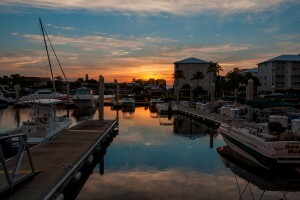 Saturday was the day of the tournament, and while the boats were out, the Fish Tale Marina, the host of the Grouper Grapple, put on a community event with activities for the locals, who were waiting for the crews to return with their catch. The crowd swelled as the time for the official weigh-in loomed. 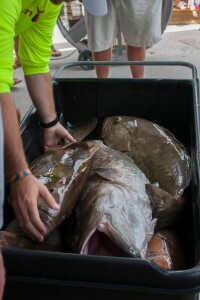 As well as enormous groupers, there were blackfin, amberjack, and snapper being considered for other categories in the contest. Tournament director, Brian Peachey took a moment to recognize the military in the crowd, asking them to come to the stage. 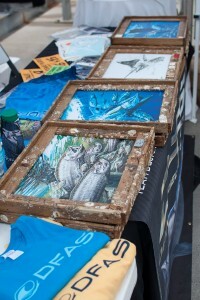 The audience cheered as each veteran was given a gift bag from Bass Pro Shops and presented with custom artwork by Dennis Friel, framed in lobster trap wood. The plaque read, “In appreciation of your bravery, commitment, and sacrifice, we thank you!” Our servicemen were floored by the show of gratitude and boosted by the comradeship they found on the water. We are still smiling, thanks to the Grouper Grapple sponsors and the 14 service members who participated with us.